The viral marketing campaign for Man of Steel appears to be in full swing. First off, the Man of Steel website has been running static video since Friday, which now appears to be forming into the symbol of General Zod. 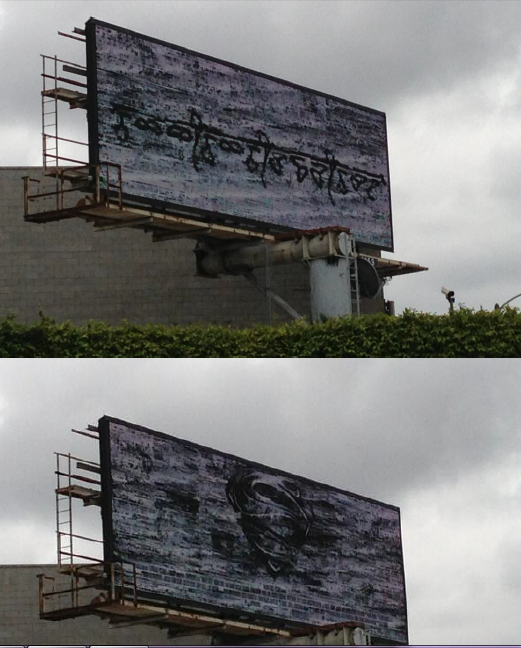 Now, a billboard has appeared in Los Angeles depicting Kryptonian writing and, on the other side, what appears to be a static image of Superman’s logo. 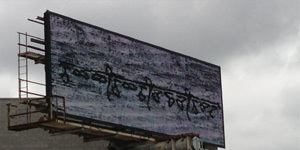 The Kryptonian writing corresponds to numbers of an IP address: 168.161.242.137, which is IWillFindHim.com. As of now, clicking to the site redirects you to the Warner Bros. homepage, but that is likely to change soon with a rumored 3rd trailer set to hit anytime. The name of the site is likely a reference to General Zod’s mission to seek out Kal-El (Superman). Even though the movie is still over a month away, the hype and anticipation surrounding its release is palpable, and we can be certain to get a few more marketing nuggets between now and June.